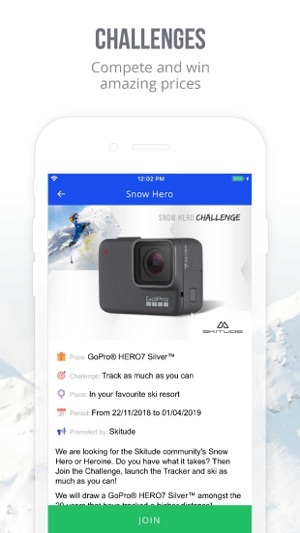 Track your activity, join challenges, win prizes and share your mountain experience! 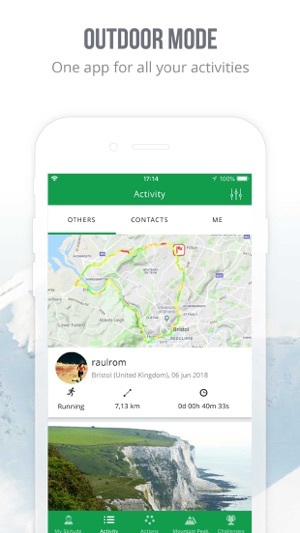 Skitude app is especially designed to plan, track and share snow and outdoor activities such as skiing, snowboarding, mountain biking, hiking, running and many others. 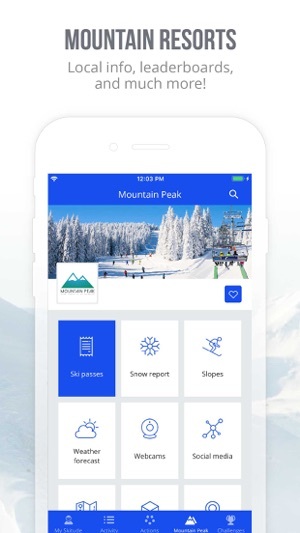 Use the app in mountain resorts all over the world to track your snow and outdoor activities and check out your statistics. Create a contact network, follow your family and friends activity, compare your performances and compete amongst you. Check out the leaderboards and win prizes with the Challenges. Your activity is now rewarded! 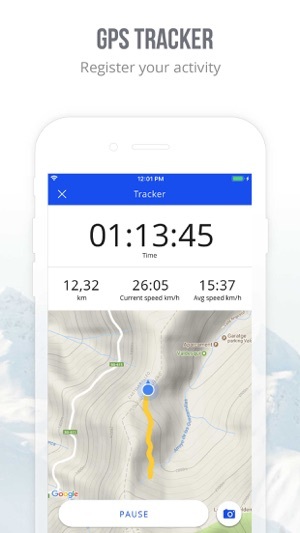 Track your performance with the GPS tracker of your smartphone or apple watch to obtain accurate slopes statistics such as: drops, distance, max speed, average speed, number of tracked days and view your activity on the slopes in 3D. Join Challenges, enter the rankings and compete with other users to win prizes. Share your position and locate your family and friends at the mountain in real time. Keep up to date on the latest snow and weather forecasts of your favourite resorts, check out the social media feeds and community activity timeline. Choose between the snow and the outdoor mode to adapt the app content to your favourite activities. 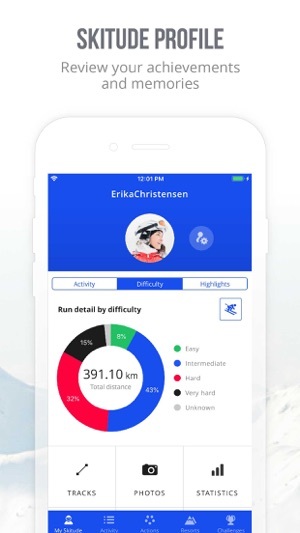 Review your statistics on the www.skitude.com social platform, where you will find a personal space with your ski, snowboard, mountain bike, hiking or running tracks and pictures. And there’s more! 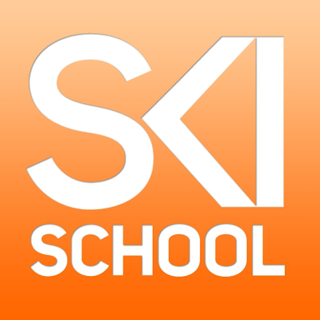 Your My Skitude account is also compatible with a whole set of official mountain resort apps, which are synchronized with your profile. Check out the list of compatible apps on our website. Alpe d’Huez, Aramón Cerler, Åre, Aspen Snowmass, Baqueira-Beret, Chamonix, Courchevel, Falls Creek, Gstaad, Kitzbühel, Laax, Las Leñas, Les Deux Alpes, Megeve, Niseko United, Oberstdorf, Park City, Perisher, Serre Chevalier, Stowe, Tignes, Vail, Val d’Isere, Val Gardena, Val Thorens, Wanaka, Whistler, Zermatt, and many more! Beat yourself with the heat maps! Now you will be able to easily analyse your track’s speed profiles. You can subscribe and pay through your iTunes account choosing either a monthly or annual subscription plan. Payment will be charged to iTunes account at confirmation of purchase. Your subscription will automatically renew unless cancelled at least 24 hours before the end of the current period. Your account will be charged for renewal within 24 hours prior to the end of the current period. Subscriptions may be managed by the user and auto-renew may be turned off after purchase by going to the 'Manage Subscription' page in settings. Any unused portion of a free trial period, if offered, will be forfeited when the user purchases a subscription to that publication, where applicable. Thanks for using the Skitude App! I accidentally paid for the subscription for this when trying it out for a demo. It is terrible, particularly since it is completely unreliable. The program regularly crashes, causing your data for the day to be lost. The watch app doesn’t even work well enough to open more than 33% of the time. It almost always crashes on the times that it managed to open. The watch app, on top of being horribly buggy and unreliable, is nothing more than a low feature remote to the phone. 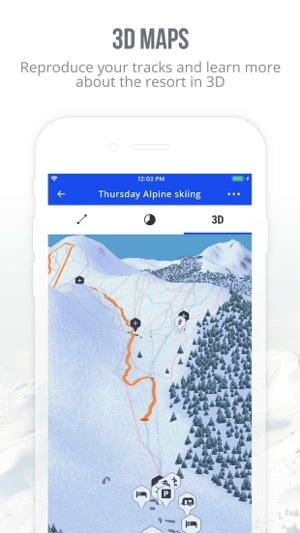 Ski Tracks app lets you just use the watch and leave your phone at home or in the car, but not this one. Save yourself the frustration and don’t bother trying this app. Hello! Thank you for your comment. Unfortunately, we can not manage your subscriptions, this is something you have to manage with Apple. Please, give us more information about all the problems you have had while using the app at usersupport@skitudeservices.com. We will try to fix them as soon as possible. Thanks!